The last three years Mum, Kerstin, Sarah and I have been part of that day. 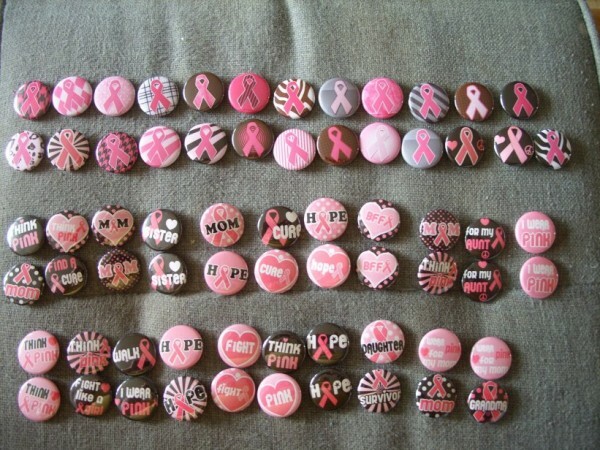 Selling homemade things and sending the money to The Breast cancer Foundation. 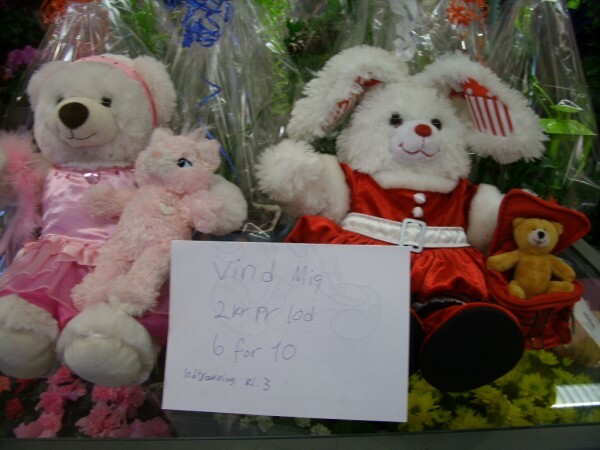 The past two years we`ve had our booth in Euro Spar, and that went well. Then Euro Spar closed on December 27 2014, and I almost panicked right there. We have been looking for another place to be, thinking maybe the Church or something. Then the house magazine came out here in April, going out to 18.000 flats here in Aalborg. With a note on the back, that said you could ask to use company premises for a social activity. Mum and I talked it over, and I send an email to the chairperson of the housing. Told about our course, the work we put into it, and what the money is for. Two days later, I got a mail from her, that she would look into it, and a week ago, I got a note saying, we had the room from Friday to Sunday that weekend. In addition, it is free, normally you pay €65 in rent for the place, but we get it rent free…. YAY. We now have a big room, with lot of space, a coffee maker, lot of tables and a day extra to set everything up. We`ve talked with other people that make lovely things and they can get a table and sell their things, they just have to give 10% of their earnings to the Breast cancer Foundation through us. Therefore, we are now expanding with books, handbags, more homemade things, stuffed animals, dolls, and nice secondhand donations. Wow! That is amazing! Is that the place at the corner, behind the bus station? We should think about flyers or something to put up/give out so people know what's going on. Will Sarah be back with us this year? Yes it is, just across from Mums flat. We think we´ll put everything up Friday, so we don´t have to stress Saturday. I´ve thought about putting up flyers in the stairwells here and write about it in the House Magazine, tell people about the buses so they can come and look. I´m afraid they are going to Spain again this year, in that week... but NO DOGS HERE !!!!!! EVER AGAIN!!!!! Yay pink cupcakes and cookies ;) Great idea..
We should check what turns out to be cheaper, printing flyers ourselves or ordering them. I just saw an ad for 1,000 flyers for about 20 euro, but other places do smaller quantities too. To bad, but maybe I can get her to make something. Good idea, see how many will join us too. The bed is because I have to borrow it from BRO and I don´t want that anymore. I can get the same one and it is 45 Euro, and then Mum and I have a spare bed when we need one. Mom uses one when Rebecca and Benedicte spends the night, on on the couch and one on the bed. Having out own, is the smartest thing. Do you know a date yet? This is marvelous!! Lookit the awesome you pulled together so handily there! So proud of you! It is hard work, but I have a lot of wonderful friends and my Mum to help and get money for a good course. Sorry I didn't get a chance to thank you proper the other day...life has been ten times more insane around here than usual! 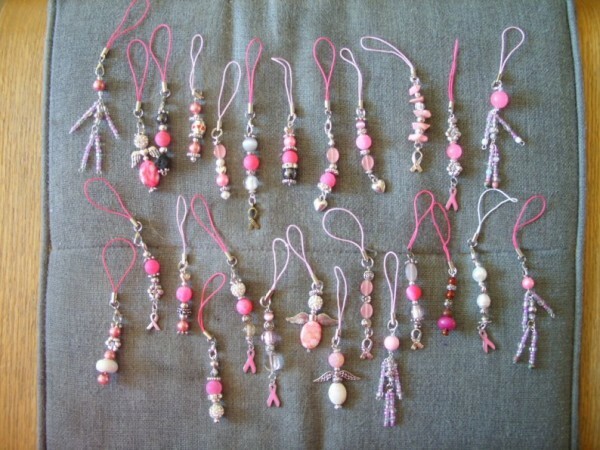 Sure darling, when I´ve made some new things for the Pink Saturday, I´ll be sure to send you a new Angel and a pin. Thank you so much for your support here, it means so much to me. Thanks darling, we will all do our best and I have faith in this one. A big room, we can serve coffee and invite other people to sell their stuff for only 10% of their sale for us.